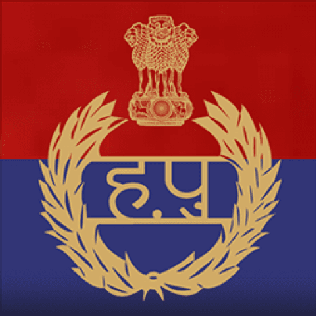 The Haryana Selection Commission recently published the notification regarding the recruitment of the Constable/SI in the Haryana Police. 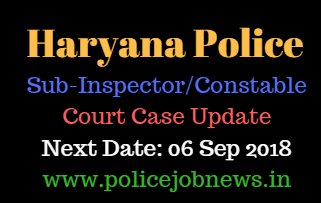 The latest news regarding this vacancy is the Haryana Police SI Court Case 2018. The selection process for this vacancy has been changed. The government has decided to cancel the process of the Interview. So the candidates just have to appear for the written exam and physical test for the selection. In place of the personal interview, the govt. has decided to give additional 20 marks to the candidates. Haryana Police Court Case has been filled by the candidates against the additional marks. A lot of candidates have problem against the new selection procedure. The cancelation of the interview process is a welcome step. The distribution of additional marks is still a problem for lot of candidates. The candidates want to change the given procedure. We are just hoping that the Haryana Police SI Court Case to be dismissed as soon as it can be possible. The candidates have filled the Court Case against the State of Haryana Govt. Here, we will provide you the point of view of the candidates.You will be also get information about Haryana Police SI Court Case Reason. The candidates have filled this case because of the steps taken by the Haryana Govt. for the additional marks. The Govt. has decided to award additional 20 marks in special cases. A lot of candidates have problem against it. In the below section, we will provide you about Haryana Police Court Case Reason. The official notification regarding this vacancy was released recently on 16th April.Now the 1st hearing of this case is in may month. You will get status of this case in below given table. We will keep you updated with latest news on this topic. Graduation Degree in Law, Computer Engineering/Science, Forensic Medicine, Forensic Science, Police Science and Criminology (04 Marks) and additional 3 marks for PG degree in the above mentioned subjects ONLY. यही इस केस की वजह की बाकि विषयो के कैंडिडेट के साथ ये भेदभाव क्यों ? Latest News (24 August 2018): हरियाणा पुलिस कोर्ट केस 24 अगस्त की सुनवाई में क्या हुआ??? Latest News (20 July 2018): The candidates want to know when the selection procedure for this post will begin. The case registered against this vacancy will be dismissed very soon. The next hearing, in this case, will be held on 24 July 2018. The status of the case will be posted here as soon as the hearing will end. The status of the case will be posted here. The date of hearing for the Haryana Police Court Case is 22nd May 2018. Latest Update: A new case has been registered against the Haryana Police Vacancy. This case is also registered against the selection procedure for the above post. The distribution of additional marks being the prime reason. The candidates who want to appear for the selection procedure for the above post want to know about Haryana Police Court Case Status in ongoing hearings. The next date of the hearing for this case is 2nd May 2018. The verdict of this case will be posted here on this page. As soon as the hearing for this case will be completed in the court, we will provide you the status news here before everyone else. So the candidates have to wait for few more hours to get the Haryana Police SI Court Case Status. The status of this case will be clear in the next few days. Here, we will provide you all details regarding it. The court case is still pending against this vacancy. The next date of hearing for this case is 20th May 2018. The hearing will take place on 20th. We will provide you the status of the case as soon as the hearing will be over. So the candidates are requested to wait for few more days. The hearing of the case is tomorrow. We will provide you all latest updates regarding it here on this page. For live updates, you can also join us on our youtube channel. All updates regarding this case will also be shared on the youtube channel. We are just hoping that the case aganist this vacancy will soon be dismissed. Then, the commission will announce the exam date. The exam date can’t be announced before the next hearing. So we are just hoping that the Commission will call for an urgent hearing in this case. As of now, there are now news regardig the urgent hearing of this case. The Haryana Staff Selecton Commission hasn’t submitted their responce. As soon as the official statement by the board will be submitted, the hearing will take place. No further steps has been taken by the commission as of yet. So we can see that there will be no urgert hearing in this case. If it will happen, we will let you know about it.